One countersheet with 130 x 1â€™2â€ counters and 88 x 5â€™8â€ counters. 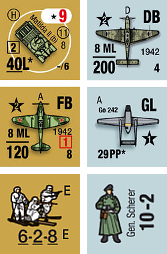 â€œKampfgruppe Scherer : the Shield of Cholmâ€ includes fifteen brand new scenarios. 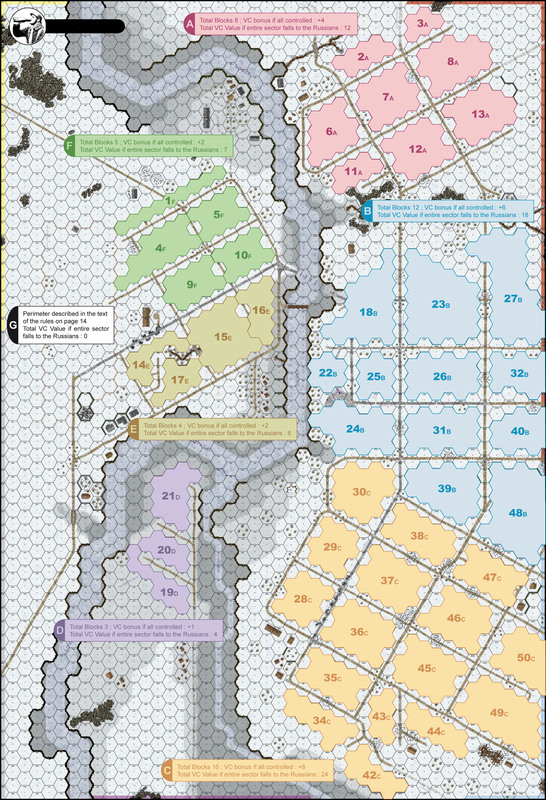 Two campaign games are also included in â€œKampfgruppe Scherer : the Shield of Cholmâ€ . Kampfgruppe Scherer comes with two maps, a winter map depicting the first months of the siege and a summer map with much destruction on the city. No need to put dozens of debris counters on the map ! Two views of the same area, near the airstrip. Final and updated MDX file (with aerial flags). Thanks to Txema (and Pete, aka "General Mayhem"). Simply rename the zip extension with MDX. As written in the title, you will be able to use them with VASL for quick reference. Thank you very much to our friend and French aficionado Julien Denis for his help ! Rename the file to bdkholmS and copy it to your board VASL directory. Rename the file to bdkholmW and copy it to your board VASL directory. Rename the file to bdkholmWO and copy it to your board VASL directory.